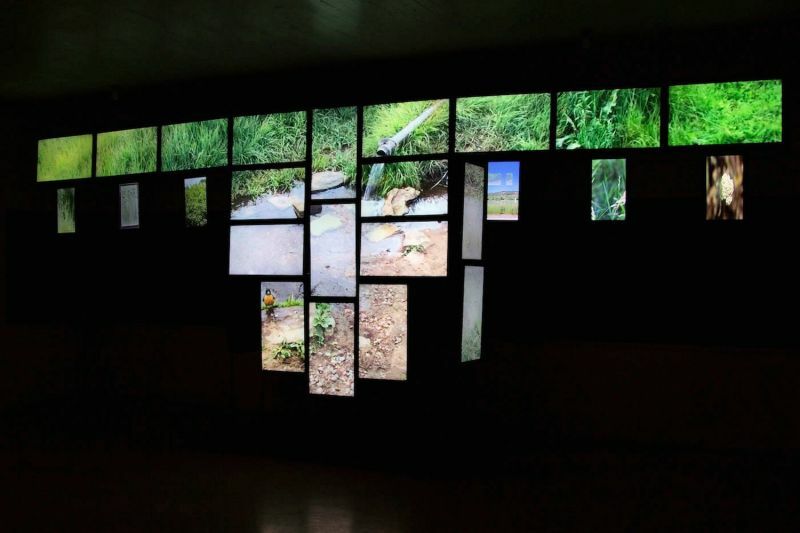 Bently Spang, War Shirt #6-Waterways, sculptural video installation, 22 x 9 x 4 feet, 2017. Multidisciplinary artist Bently Spang’s installation, War Shirt #6 Waterways,”fills the gallery through April 20. This work takes the form of a monumental Plains Indian war shirt using 27 video monitors with six additional digital stills. Created for the Mountain Time Arts Water Works exhibition in 2017, this work has been re-imagined and reinstalled at MAM. The video depicts the Tongue River, creeks, and springs that crisscross the Northern Cheyenne Indian Reservation.